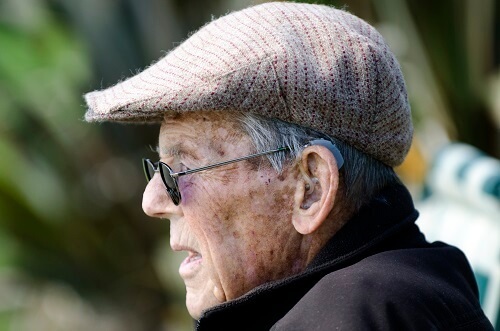 Roughly 14% of the nation’s aging population suffers from hearing loss. That is about 30 million Americans. This number is likely to rise as both noise-induced and age-related hearing loss are consistently being reported with more frequency by audiologists and hearing health professionals, as well as primary care providers and even families. What does this mean? The connection between hearing health (specifically hearing loss) and mental and emotional wellness is firmly established. It has been proven through thorough and recent scientific study that hearing loss contributes to the development of dementia and Alzheimer’s disease. It also reported that the development of social isolation, anxiety, and depression is a result of hearing loss in aging adults. Another study noted the burden of communication placed on communication partners, family members, and loved ones causes a massive strain on the relationship once enjoyed between those suffering from hearing loss and those with whom they communicate and associate. Even if your relationships remain strong, how do you understand your doctor’s instructions? How about what your pharmacist is telling you about medications? Can you hear the siren of an approaching firetruck? How about your smoke alarm or your telephone? There is an aspect to hearing loss that is less about conversation and more about safety and protection. It is obvious that the loss of connectivity can be ultimately damaging to relationships and even dangerous if you suffer from hearing loss. How should you approach communicating with someone in your life who has not taken the steps to treat their hearing loss? Here are six strategies that may be useful when speaking to someone with hearing loss. These strategies are easy to use and can have an immediate positive effect on communication and relationship stability by reducing miscommunication and misunderstanding. Improve communication and understanding by getting a person’s attention first. This will provide the listener with cues as to when and where the message will occur and it will prompt them to direct their attention appropriately. Decrease the distance between the listener and the speaker. This will allow the listener to improve their probability of understanding and reduce the likelihood of miscommunication. Additionally, being in the same room and facing the listener may provide the opportunity for the listener to pick up on visual communication cues to assist in deciphering the message. Speaking more slowly and clearly allows the listener, especially one with hearing loss, to improve understanding and messaging. Studies have shown that cohesion and recall are improved when the rate of speech is slowed from a typical conversational speed. A listener is able to understand the conversation, fill in gaps, and reduce the number of alternative messages through the use of topic and context. State a topic at the beginning of a conversation to help a listener with hearing loss follow appropriately and decrease miscommunication and misunderstanding. Don’t repeat. Rephrasing the message by changing word order or vocabulary will introduce the topic and message in a new manner. This change will help present the message to a listener suffering from hearing loss more productively and will avoid the frustration of constant repetition for both the speaker and the listener. Increase conversational and topical understanding by using keywords. Choose specific and familiar words (names, places, etc) in communication with a listener suffering from hearing loss. Avoid generalities and nonspecific terms to reduce miscommunication and misunderstanding. Conversation is a process. If a listener is struggling to hear and understand the message, consider focusing on the request. “What?” and “Huh?” are common responses from a listener suffering from hearing loss. These are cues for the speaker to identify and reflect the part of the message that the listener is missing or misunderstanding. Try to respond with “Are you asking ‘What are we having for dinner?’” This will increase communication, maintain engagement in conversation, and decrease the frustration and emotional reaction to miscommunication. Hearing loss is a condition that can be easily masked by both the person suffering from hearing loss and their communication partners (family, friends and loved ones). This list is by no means offered as instructions on how to further avoid treating hearing loss. If you, or a loved one is suffering from hearing loss please take it seriously. Do not avoid speaking to health professionals about any aspect of your health. If you have any questions about hearing health, or any specific concerns about hearing loss, contact your doctor or an audiologist. Your hearing health is an important and integral part of your whole health and wellness. And, trust us, everyone you know knows that you have a hearing loss, so there is no reason to avoid getting help. In fact, there are a million reasons to treat your hearing health, so don’t wait. Healthy hearing truly leads to a better life. Hearing healthcare and whole health and wellness – a vital partnership. Recent medical studies have shown a correlation between hearing loss and diabetes. Is CBD Safer Than Prescription Drugs for Seniors?